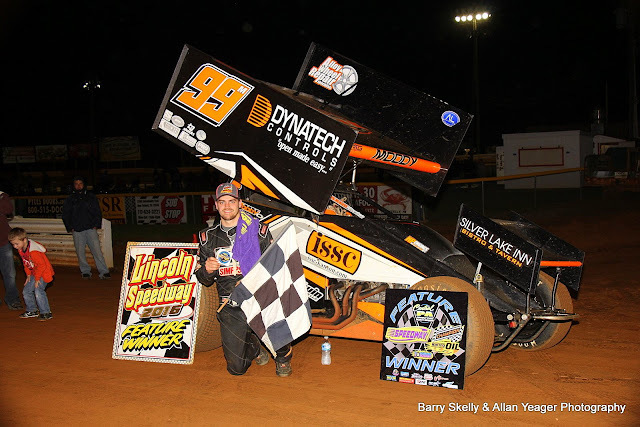 Jeff Rohrbaugh became the first sprint car repeat winner of the year at Lincoln and claimed his division-leading 15th career win in the 20-lap “358” sprint car feature. Rohrbaugh started tenth and inherited the lead when polesitter Kody Hartlaub slowed to a stop on the backstretch on lap six. From there, he held off the challenges of 12th-starting Matt Campbell and ninth-starting Jeff Halligan for the win. Defending Lincoln champ Doug Hammaker came from 17th-starting spot to cross fourth, with Chandler Leiby fifth. Completing the top ten were Dalton Dietrich (best Lincoln career finish), Chris Arnold, Adrian Shaffer, Brent Shearer (who came back through the field after a fourth-lap spin), and Cody Fletcher. Heats for the 25 358 sprinters on hand were won by Shearer, Shaffer, and Ryan Higgins. Ryan Smith fulfilled a life-long dream by scoring the win in the 20-lap street stock feature. Smith started fourth and took the lead from Jimmy Combs down the back stretch of lap eight. He led the rest of the way, with Chad Stine coming from 13th-starting spot to finish second. Jim Palm, Jr., Josh Bloom, and Eddie Richards completed the top five. Heats for the 26 street stock were won by Richards (who drew an inversion pill of 12 for the feature), Wayne Dutterer, and Chris Derr. 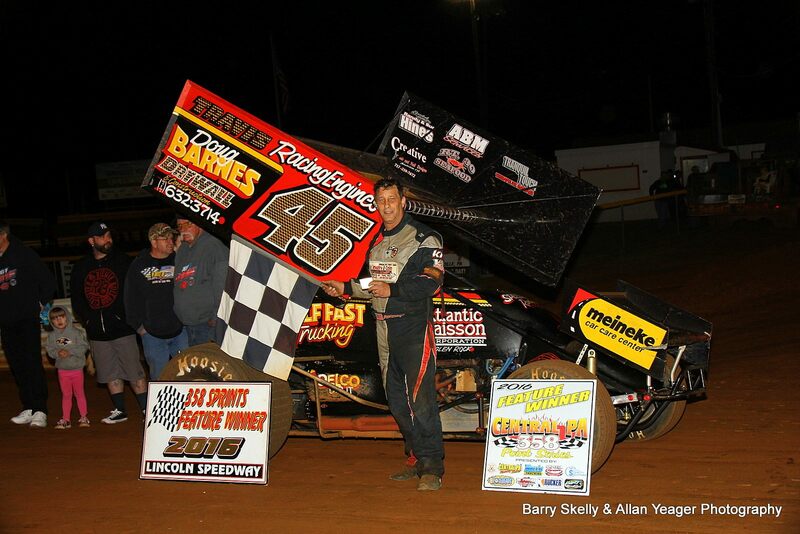 Next weekend, Saturday, May 14th, it will be BAPS NIGHT featuring the 410 Sprinters going after $5,000-to-win courtesy of BAPS plus 2-lap Challenge races to determine the top 12 starting positions for the feature. 358 Sprints and All-American Outlaws round out the auto racing portion of the show. It will also be the first race of the year for the York Flooring KIDS BIG WHEEL RACES. Racing gets underway at 7:30 PM, with gates opening at 5:30 PM.